On 8th June 2018, luxury menswear brand, Ermenegildo Zegna, celebrated the launch of their new Fall/Winter 2018 line in collaboration with Maserati.The capsule collection was inspired by the kinship between the two Italian brands, embracing the prestige associated with the “Made In Italy” brands. Italian leather shoes, champagne, gorgeous jackets, and of course luxurious Maserati cars were featured at this A-List event. Special guests included actors Lawrence Wong and Nick Teo and models Thomas Betti and Remi. In true Ermenegildo fashion, the collection was crafted tastefully with high quality materials. The dark colour palette, primarily featuring navy-blue and black color schemes, made for easy matching while Maserati’s signature Trident logo made an appearance on this limited edition collection. Using durable nylon goods for all travel items, and quality leather accents, the collection is comfortable, sleek, and practical for busy travelers. 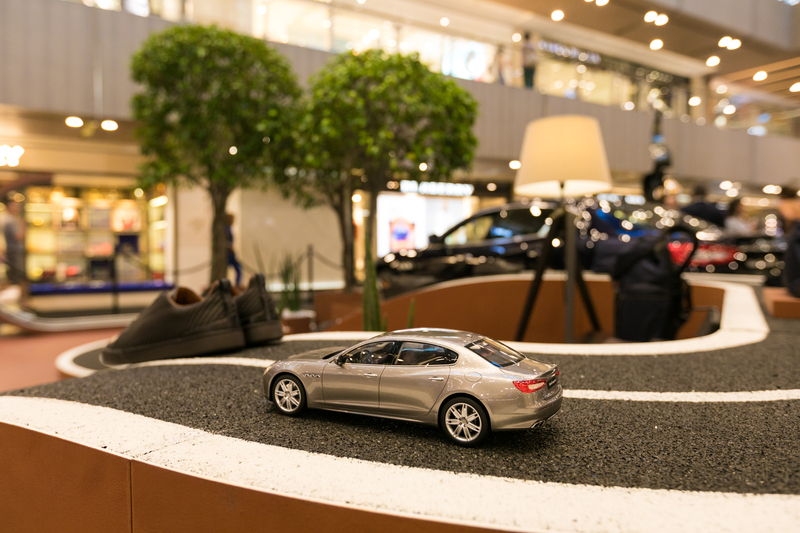 The event, held at the Paragon, Singapore, featured a Maserati track with model cars and a track that imitated the concept’s sleek and adventurous concept behind the release. Take a closer look at the collection here.